All items sold as is where is with all faults and with no warranties express or implied. Buyer is responsible for inspection of items prior to bidding. We do not inspect or call damage or condition of items or call Silver Lake if you have a question about an item. Buyers are encouraged to closely physically inspect items prior to the auction. By placing a bid, bidder signifies that they have examined the items to their satisfaction, or that they have chosen not to personally examine them.There will be a 10 per cent buyers premium added to the total of items purchased for this auction. There will be Texas Sales Tax of 7.75% unless the buyer has a valid resale tax certificate on file with us. Methods of payment include cash, check, or credit card with valid ID. There is a $35 charge for returned checks. All items must be paid for the day of the sale and prior to removal of the items from the auction premises. Buyers are responsible for packing and loading items and encouraged to bring their own packing materials and loading help. All merchandise not removed from the premises within 48 hours of auction completion is considered abandoned and becomes the property of Silver Lake Auction LLC unless other arrangements are made to store the items. By placing a bid through this website or at the live auction, you are entering into a legally binding contract and agree to follow through with the purchase of the item should you win the item. Bidder expressly agrees not to stop payment, dispute or contest this transaction. Silver Lake Auction LLC and its consignors reserve the right to remove any and all items from a sale at any time, up until the time the item is sold. 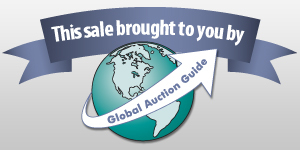 All announcements made at the live auction supercede all previous announcements online or offline. All sales are final with no returns. Anyone who is age 18 or over may bid, however Silver Lake Auction LLC reserves the right to reject a bid from any bidder. Workers at the auction as well as the auctioneer himself may bid. The highest bidder acknowledged by the auctioneer shall be the purchaser. In the event of a dispute between bidders, or if the auctioneer doubts the validity of a bid, the auctioneer shall have sole discretion to name the successful bidder, reopen the bidding between two tie bidders, or resell the item. Bidders are responsible for their own merchandise once they are recognized as the purchaser. The auctioneer may at his discretion combine or divide lots during the sale. Anyone entering the auction premises for any reason does so at their own risk. Neither Silver Lake Auction LLC nor Garitty Pace LLC (owner of the premises) are responsible for accidents. If you are unable to attend the auction you may leave an absentee bid online with Hi Bid or by calling us. Shipping may typically be arranged on smaller items by Silver Lake Auction LLC at actual postage rates plus a fee for packing materials and labor. Silver Lake Auction LLC makes no warranty with respect to shipping items. It is recommended that shipping for larger items be arranged with third party shipping companies by the buyer. Auctioneer Tim Campbell TDLR #18023. Licensed and regulated by the Texas Dept of Licensing and Regulation and covered by the Recovery Fund. Announcement:Information contained herein is presented on behalf of the seller. Silver Lake Auction, LLC, agent for the seller, cannot guarantee the information to be correct or assume the liabilities for errors and omissions. All lines drawn on maps are approximate. Buyers should verify the information to their own satisfaction. Any announcements made from the auction block on day of auction will take precedence over any matter of print and will be final. basket w old cards fortune telling? RECO art plate 1990 "Giving Thanks"
vintage brass lamp w toleware shade. 8 matching green colored glass stems Fostoria? unique old pottery 3 pot planter unmarked Camark? big heavy glass platter LARIAT pattern Heisey?